I cannot say I remember the day in which networking and making professional connections was only done during professional conventions, and boring district meetings because I am too young for that. 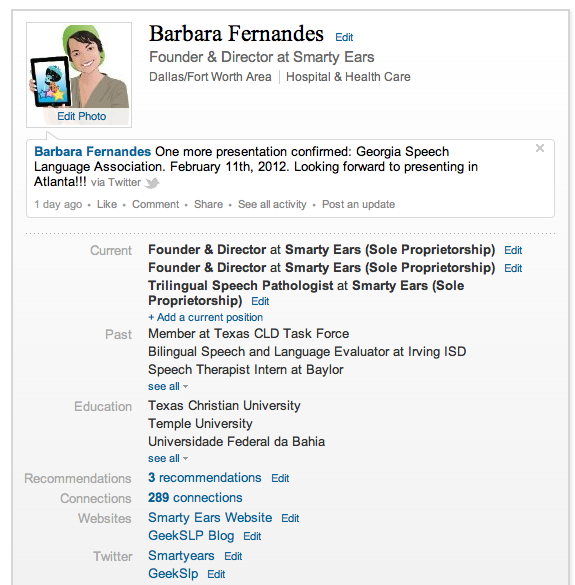 By the time I became a professional and needed to meet other professionals, many online tools were already available. Not to brag about the luxury of being immersed in social networking, but I am glad I live and work in the day and age in which we can meet people with the same interests as mine from my iPad while on the couch watching a movie ( especially considering how hot it is outside). 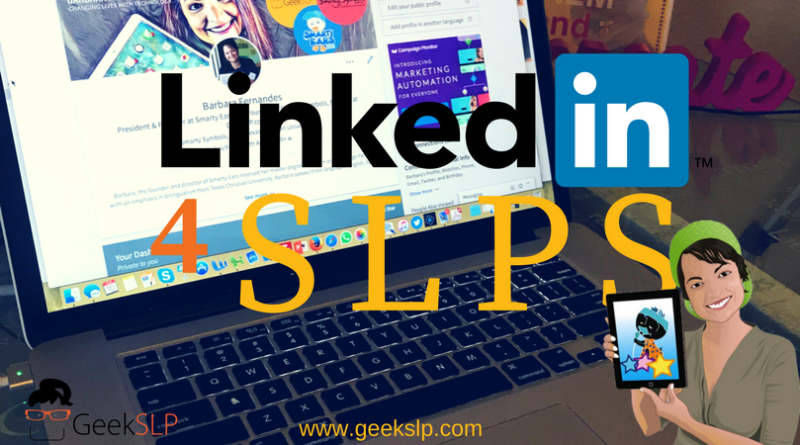 I have already written on using Facebook and Twitter for professional networking, now it is the time for talking about Linked in. After you have created your profile you can start making new connections and joining groups. You can also ask one of the people from your inner circle to introduce you to someone they know. 1. Bilingual Speech & Language Pathologists:This group was created to connect SLPs who are and work with bilingual individuals. 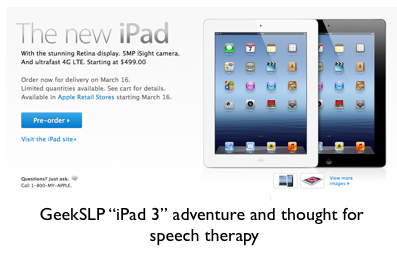 2.iPhone, iPod Touch and iPad for Speech Therapy : Are you a speech therapist interested in the new technology? Are you a parent interested in learning about how to use the iPhone or iPad to improve your child’s communication? Join this group! 3. Smarty Ears – Innovation Leader in Speech & Language Therapy Technology: Smarty Ears has been creating innovative iPhone, iPod and iPad applications for speech and language therapists, as well as for individuals with a communication disorder such as stuttering and their parents. 4. 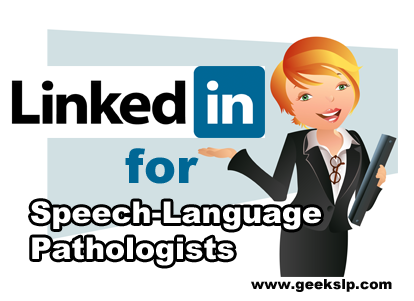 Technology for Speech and Language Pathologists: If you are a speech therapist, a parent of a child with a communication disorder, or a person with a communication disorder yourself and are interested in technology you may join this group. You do not have to be a geek to join us! 5. National Student Speech Language Hearing Association (NSSLHA): The National Student Speech Language Hearing Association (NSSLHA) is a pre-professional association for students interested in communication science and its related disorders. NSSLHA is an independent organization separate in its operations and structure from the professional association the American Speech-Language-Hearing Association (ASHA). 6. American Speech-Language-Hearing Association: The American Speech-Language-Hearing Association (ASHA) is the professional, scientific, and credentialing association for 140,000 members and affiliates who are audiologists, speech-language pathologists, and speech, language, and hearing scientists. 7. Special Educators Corner: This group is dedicated solely to meeting the needs of special education teachers and those preparing for the field of special education teaching.Parents having special children can also join this group. 8. SPEECH and SWALLOWING THERAPY: SPEECH and SWALLOWING THERAPY is for hot topic discussions, issues, concerns, general advice forum for professionals who work with pediatrics and adults experiencing speech and/or swallowing disorders. Open to the public. Visit sandiegospeechtherapy.com for personal communication. 9. 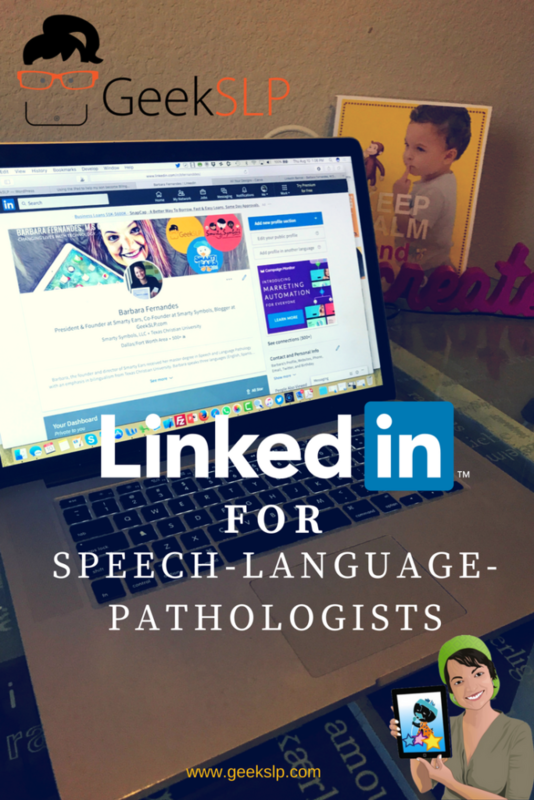 Speech Language Pathologists: This is a group devised to allow speech language pathologists/therapists to have an outlet to network and converse. 10. 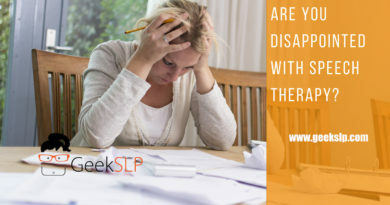 Speech Language Pathologists of America: Speech Language Pathologist of America is a networking environment where SLPs can share ideas and network with one another is a open environment. 11. Speech Therapy in the UK: This is the place for speech therapists in the United Kingdom and also abroad to discuss jobs, information and the latest news in UK speech therapy. Joining pages on Linkedin should not be seen as the final destination on social networking, but the starting point. 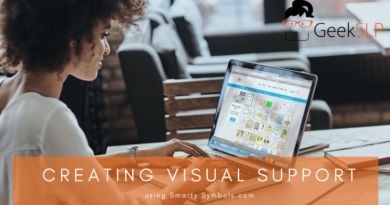 If you have a private business you may consider creating a page for your business, if you want to engage other SLPs on a topic of interest you may create a page and invite colleagues to join your page. Sharing information on pages is another great way to keep your peers informed and connect with people with similar interests; by commenting and sharing your opinion on groups you may be able to connect and make a difference. I have also decided to connect my Linkedin Profile to my Twitter account, and now every time I make a post on Twitter it is also displayed on Linkedin. 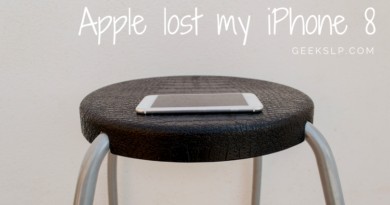 This allows me to keep all my social media profiles up to date very easily. Now it is your turn to start making professional connections!